Synopsis: Fan of fighting titles and tired of being stuck playing the few decent ones that are aged and need something fresh? 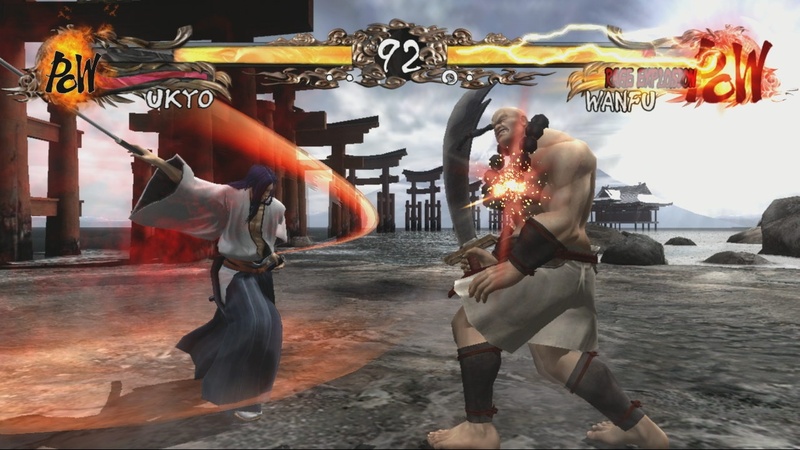 Well XSEED sent us a review copy of Samurai Showdown Sen, the most recent fighting title to hit the Xbox 360. 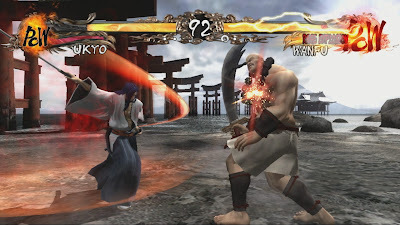 Sen, the eleventh title in the series brings back thirteen familiar favorites from the previous Samurai Showdown titles along with bringing in eleven newcomers to the latest iteration of the series to the Xbox 360. To celebrate the 17th anniversary of the franchise which focused on weapons based one on one fighting; SNK Playmore has made Sen, their most brutal entry to date with high resolution 3D visuals. Online matches are also available with a worldwide online ranking system to keep replay value high after mastering your character of choice. Praise: With all the fighting titles that have come out in the past year it really comes down to personal preference. 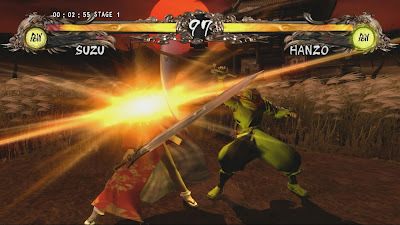 Samurai Showdown Sen offers a lot of everything from the weapon based combat seen in Soul Caliber, brutal moves similar to mortal combat, while still holding true to the style and moves of the original Samurai Showdown titles I grew up on. The graphical refresh is a nice improvement with the 3D visuals of the character and the detailed historic looking environments. I had started playing with the arcade fight stick, but feel that with the controls of this title and layout of buttons, it was actually easier to play with the Xbox controller, which is better for those without the fight stick. The impressive roster has something for every type of fighter from speed to power to skilled and the brutal finishes were nice without being too over the top. Gripes: I had a couple issues with the game on my number of playthroughs with multiple characters and the first thing would be the speed of gameplay, it seems to be slower than most of the other recent titles out there. The difficulty is on par with other similar titles until you reach the first of the two bosses, Draco, which wields a shotgun, and if he starts spraying you with lead, the match is over. Lastly is the online play, while I tend to play single player to unlock hidden character and to polish my mad skills, but fighters are meant to be played online and the community for the title seems to be a little weak at first, so finding a match was rather difficult at times. 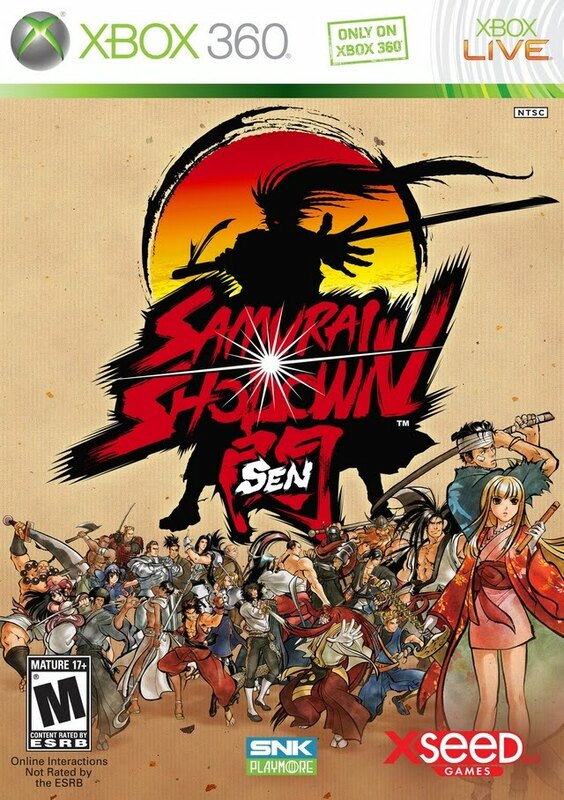 Overall, Samurai Showdown Sen is a solid fighter which will have fans of the franchise very happy, but may not reach too many outside of that group. There is a lot of replay value and there would be even more if the online community were larger. With a price tag of $49.99, it is nice to see a new game release cheaper than the normal sixty dollar release date price tag while still offering all the gameplay modes and features seen in other more expensive titles. 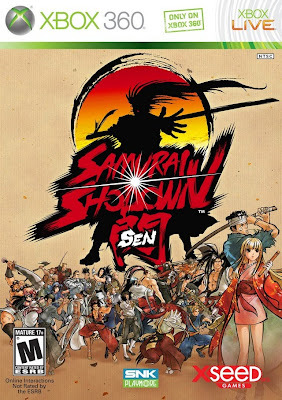 Mashbuttons.com gives Samurai Showdown Sen a 7 out of 10. Samurai Showdown Sen is available now for the Xbox 360. Finally a good review. 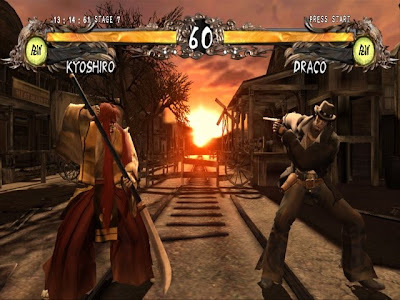 Sure it lacks in quality compared to other fighting games out there and the origjnal games but this game gets WAY TO MUCH hate then it deserves. People mostly hate it because of the graphics,speed and difficulty of the game. Yes that can be a problem but people bash it and call it one of the worst fighting games out there because of it. Listen I understand that the graphics aren't the best. I understand that the speed of the characters aren't great and I understand that the difficulty is a bit cheap but that DOES NOT make it a horrible game. It is a ok game sure it could of been better but people need to stop being so hateful because it is a fun game and in the end that is all I want from a game.